Parrot Forum • View topic - Went to breeder. In love with senegals! Went to breeder. In love with senegals! I went to a breeder in Connecticut today and i think i am in love. i saw senegals in person for the first time and they are so amazing. they were very calm and tame and came to me with ease. well all the birds there were tame but especially the senegals. I also held the tag which was awesome also but even when they were nibling on my finger , i can tell that their beaks are much stronger. But either way both were amazing. I loved the senegal more though. They require smaller space as well as i was told then the TAG and the workers there were very informative. i even tested them with questions just to see what they would say and it all went well. the place was super clean and they all took care of the birds very well. also i didnt get the feeling at all that the senegal were only 1 person bird from. they were perfectly playful with me and anyone else who touched them. I think it really all depends on how they are raised and i will make sure to raise them well. i will give it another few months of research before i decide. Or possibly longer. I dont want forest to be in danger in anyway (my budgie). From what i hear from the forum, it seems like Senegal are viciously jealous birds who will kill any other smaller bird in site and cant get along with anyone but its owner. So i am very scared still about getting another bird. Also if they are that antsy to bite people, why were they out in the open for interaction? i would assume that they would get frustrated and bite new people they see but that wasnt the case at all. They were friendly with anyone who came to them so they didnt seem like they were 1 person birds at all. 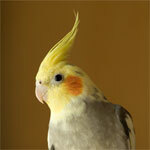 Either way i think senegal is the perfect bird for me and i think i found the breeder i like. (i did go to other breeders as well for other birds in the past but this place seemed the most genuine). Only question is when i get it, which most likely is not any time soon. Also how old should i get them at? i think between tag, eclectus and senegal, senegal is most likely going to be my choice. if anyone have ever been to parrot co in Connecticut (the store i went to ) let me know what you think of them. Re: Went to breeder. In love with senegals! You're not gonna wanna hear it or listen to it, but the impression you got is completely wrong. It is irresponsible to purchase a bird with a lifespan of 30+ years on the first impression of it as a baby. Just because most people enjoy sharing/posting the best of their birds doesn't mean they don't have loads of problems. For example most of the stuff I post about my Senegal Parrot may be appealing. The fact is that it's easy to capture a trick on video or something cute to share. However, the undesirable behavior that happens from time to time, the unpredictable biting, etc is all impossible to portray except taking people's word for it. With your current take on Senegals, expectations, and desires, you are setting yourself up for failure and the bird(s) will be the victim of it. I strongly recommend you reconsider getting another parrot and focus on the one you have. I am pretty sure I read that you have had it only for a month. This is NOT the time to be getting another parrot. If you are unable to get what you want and be satisfied from the budgie, you will not get it from the Senegal either. Also I would not give any serious thought to ANY advice from breeders and bird stores. Don't just write off all the advice that is contrary to your ambitions. People are telling you this from experience and genuine concern for you, your budgie, and potential other bird. Nir wrote: also i didnt get the feeling at all that the senegal were only 1 person bird from. they were perfectly playful with me and anyone else who touched them. If this is the impression that you got, then you have NO IDEA what a Senegal Parrot is like at all and are completely unequipped to decide if it's a suitable bird for you or not. The baby birds are a very poor representation of what these birds turn out like after 1-2 years. It is completely different from then onward (unless some very specific predetermined steps and corrections are made). If you want to get a balanced impression, go read all the stories of Senegal Parrots killing their mates, maiming other birds in the household, attacking their owners viciously, attacking other people and clenching on like a pit-bull, etc. You have a very naive impression and I really hope you get the full unbiased picture and genuinely weight it prior to making a decision with very strong consequences for you and the bird, but mostly the bird. Michael wrote: You're not gonna wanna hear it or listen to it, but the impression you got is completely wrong. It is irresponsible to purchase a bird with a lifespan of 30+ years on the first impression of it as a baby. and your absolutely right. That was my first biased impression since i have not seen any other senegals. Thats's why i stated that i will not be purchasing the senegal before at least couple more months of research. All i can go bye are the stories i heard so far. I get it that senegals are most likely going to be 1 person birds which i will work on to minimize. He will surely bite but what bird doesn't? And like i said, i fight everyday in the gym so i bleed often therefore a few bites from a bird will not deter me to hating him and treating him bad. It is very true that my expectations are high but whose arent? Can you honestly tell me that there are people in this forum and life who buys a bird with tons of research who doesnt have high expectations? The problem isnt the expectation, but the morals and ethics of the individual at hand. I am not this crazy psycho who will treat my bird bad or give him up for adoption if my expectations arent met. I expect bites and other bad behaviors from time to time. That doesnt mean i wont just adapt to the situation as best as possible. However if your saying that having a senegal will most likely lead to a horrible bird who hates everyone and tries to bite their head of EVERY day with no chance for it to be a sweet bird then say that. That will surely get me to look for a diff bird. But the chances of that better be very freakin high. If you feel like senegals arent right for me then direct me to a diff parrot . I dont mind doing more research on others. Please tell me what your opinion of a senegal parrot is. Really doesnt seem like you even like senegal parrots and think they are unsuitable as a pet. Or are you mostly telling me not to get the senegal because i have another bird and they dont get along with another bird in which case why did you even get a cape parrot? I must say however that you are surely making me believe that senegals are viscious horrible pets to have.If your telling me that if i get a senegal that in a year he will be biting me everyday and want nothing to do with me and hate my company then i defintiely dont want a senigal. In that case point me to the right direction. But if your saying that the chances of that are very small and that the chances of me having a sweet bird who occasionally will bite and have tempers but more often will be sweet then i already expected that. Actually, not all breeders are like this at all! The breeder that I got Ladu from didn't just want my money, she arranged a visit before I bought him to see if I could handle him properly and she asked me questions on how to care for him. Also, when i went to pick ladu up , she gave a sheet that she made on how to care for cockatiels, what foods they can and cant eat etc. She doesnt clip any of her birds and when I got Ladu, she told me specifically not to clip him, which of course I agree with. She does have experience with adult birds, the two cockatiels that were ladus parents were her pet cockatiels and she also had other adult birds. She does genuinely care about my bird, and she asked me to email her updates of him and pictures. Your points are not true for all breeders, and I just wanted to prove that. also i can completely understand why the breeders will want to clip the birds and it totally makes sense. They dont only take care of 1-3 birds like most of us here. They probably have tons and tons of birds they take care of. Also most of them have stores as well where they keep the birds for additional ways to sell them. And how would this be possible without clipping the birds? its just not good business. So i completely understand why they would want to clip the birds to better manage the huge number of birds they probably have. I bought my Senegal with what I thought at the time was "a lot of research" but honestly I had ABSOLUTELY NO IDEA what I was getting myself into. Luckily I was just so dedicated to making it work and so fascinated by it all that I fixed what I broke and made it work out and then some. However, I can easily see how without that it could have been a disaster. And I know plenty PLENTY of people for whom that was exactly the case. So even though I made that mistake, I really hope to persuade others not to. Nir wrote: However if your saying that having a senegal will most likely lead to a horrible bird who hates everyone and tries to bite their head of EVERY day with no chance for it to be a sweet bird then say that. That IS POSSIBLE. You can't get a parrot if you aren't ready to deal with that. It is just as possible with any other parrot but I know first hand that Senegals can be very vicious and it takes A LOT of behavior management to tame that. Naturally they are very aggressive birds. They are super sweet to their favorite person (or mate) and then terrible to everyone else. Doesn't mean they can't turn on their owner though. A very certain approach is necessary for dealing with Senegal Parrots which is hard to describe in words. But essentially I could go up to virtually any Senegal Parrot and pick it up and it does without biting while someone else tries that and gets their hand torn up. They prey on weakness. At the first sign of it they will take advantage of it and not give up. They are just total bullies. Nir wrote: Please tell me what your opinion of a senegal parrot is. Really doesnt seem like you even like senegal parrots and think they are unsuitable as a pet. No, I love Senegals! And I think they are one of the best species of parrot as a pet FOR ME. I know exactly how to handle them to make it work. Not so for other species. For me, Senegals are great. But this in NO WAY means they are suitable for others. One of the worst things is that people often don't know if a parrot is suitable for them or not until they have it for a while and try it. But then the parrot gets screwed if it doesn't work out. It's a catch-22. You need to know if the parrot is right for you before you acquire it but you can't find out until you've had it. This is why I am very adamant about recommending parrots to people unless it is very likely to work out. Taking a trial run to find out is just too detrimental to the parrot so I cannot recommend that approach. The reason I got a Cape Parrot is because it's the smallest bird you could add to a Senegal Parrot with any hope of equilibrium. She still bullies him but at least he's big enough that he can handle it. Still she pushes him around all the time and he is scared of her. If it were a budgie rather than a Cape, she'd kill it. As Kili was beginning to fly (while I still had Duke the budgie), she did try to use her flight to attack him. He didn't live long enough to find out how they'd get along but the early signs were NOT good. Nir wrote: I must say however that you are surely making me believe that senegals are viscious horrible pets to have. Yes, for the most part they are. Only with some very specific handling is that otherwise. However, that is the wild default that they will revert to. Nir wrote: If your telling me that if i get a senegal that in a year he will be biting me everyday and want nothing to do with me and hate my company then i defintiely dont want a senigal. Yeah. I am. If you don't do everything right, that is what will happen. So far I'm not convinced that you know enough about what you're doing nor that you'll have the self discipline to get through that. The Senegal will get older and start testing boundaries. If you do that wrong (as most people do), what follows will be terrible. I know this from working with a Senegal Parrot rescue. Nir wrote: In that case point me to the right direction. But if your saying that the chances of that are very small and that the chances of me having a sweet bird who occasionally will bite and have tempers but more often will be sweet then i already expected that. You need to talk to Ginger and listen to everything she says and trust her completely. She is an expert on Senegal Parrots and probably one of the most qualified people in the entire US to be giving advice about Senegal Parrots. She has worked with many different ones. My experience is with one, temporarily with others, and anecdotal (quite extensive though, I've talked to over 40 other Senegal Parrot owners to get a pretty universal impression). Hers is full time with many. She gets to see the best and the worst in them first hand. She knows what features are species wide vs what is specific to individual personality. She knows what she is talking about so you should take her very seriously. Michael wrote: I bought my Senegal with what I thought at the time was "a lot of research" but honestly I had ABSOLUTELY NO IDEA what I was getting myself into. Luckily I was just so dedicated to making it work and so fascinated by it all that I fixed what I broke and made it work out and then some. However, I can easily see how without that it could have been a disaster. And I know plenty PLENTY of people for whom that was exactly the case. So even though I made that mistake, I really hope to persuade others not to. i already pm'ed ginger couple days ago and she gave me her contact info so i will be giving her a call soon. If you could fix what was broken why cant i? i am also very very dedicated and really like of what i saw so far. Also the number of people i know with senegal has had different experience with it. for them the senegals only get nippy and bity once in awhile when he is in a bad mood and other times he is fine. i really think you are over exaggerating with the whole thing. From what i heard, other then meyers and smaller birds, senegal was one of the easier birds to deal with compared to congos and others. Sure its possible that he might turn out to be a devil if i dont do everything right but honestly what are the % chances of that. where i work everything works with the % of error. if possible can you give me some numbers with what % of the day the avg handled senegal will bite. as in if the bird is handled by a average owner, how often will he bite a month, a day, a week? and how hard he will be to handle. I am fairly confident that i am not the avg norm and i will do more then what the avg norm does. I dont think i ever failed at anything i did honestly and i dont plan to start now. I will work and do every research on how to handle the sennie. like i said , i am not getting one in the near future. At least 4-5 months i will wait if not more. Also your saying in a year he will bite me every day and thats the norm. From everyone in the forum and other forums i read and have researched, the norm seems to be that they get more nippy when they get older because of hormones and even then they are not nightmares. They just need to be handled a bit more carefully. And more often they are sweet with the owner and just accepts others to a degree and obviously they need to be trained to be social with everyone. And then they have their temper days but its not as often as you are saying. At least thats what i am getting from everyone besides you. Also you said senegals are for You. why arent other birds for you. why senegal. What i am trying to get is that what characteristics do you think you have that others dont that allows you to handle a senegal. most people i talk to says they are sweet birds who gets nippy from time to time and your saying the total opposite . so i am very confused. What other medium sized parrot should i be looking at then? I will be talking to ginger in the very near future but from what i know, she deals with the rehomed senegals which does give a more biased opinion doesnt it? or am i wrong there. since the rehomed senegals will have more problems since their owners obviously didnt raise them right. Nir wrote: I will be talking to ginger in the very near future but from what i know, she deals with the rehomed senegals which does give a more biased opinion doesnt it? or am i wrong there. since the rehomed senegals will have more problems since their owners obviously didnt raise them right. Yeah, you are wrong. She gets all kinds from the abused to the well handled. Some were given to her cause people were fed up while others cause the person was sick or died. So she truly does get to meet Senegals from all different backgrounds, sexes, and ages. She is more qualified than a breeder to have a realistic impression cause she sees all sorts of Senegals and not just babies. And she definitely gets to see what happens when they aren't brought up right. I know this because I visited her rescue while I was in Phoenix and worked with some of her birds. She's not a training expert, but when it comes to forming a balanced impression based on the greatest number of species specimens, I know no one more qualified than her on the Poicephalus Senegalus species. Nir wrote: If you could fix what was broken why cant i? i am also very very dedicated and really like of what i saw so far. No offense, but everyone thinks that up front but it only proves true over the test of time and hardship. Seems to me like at least 1/4 of people who purchase a parrot, get rid of it within 2 years. Possibly more. Literally in the span of the years I've run this forum I have encountered people, like you, who were really enthusiastic, didn't listen to anyone about anything, got a parrot, thought it was fun, ran into problems, didn't listen to anyone and went about it all wrong, and got rid of the bird... all this is chronicled in the archives. My point is that being committed/responsible for the parrot 20 years from now is equally important as being excited right not. For MANY MANY people this dwindles off and they either get another parrot to bring back that spark of excitement or get rid of the one they had that just isn't doing it for them anymore. I know you think you're in this for the long run and are really excited, but I'm strongly urging you to step outside your immediate motivations and really think this through from an outside perspective and the parrot's perspective. Even if you do raise the bird right and all is well between you, what about if/when you get married, have kids, etc. Loads of people get rid of their birds when their household changes. People don't think ahead very well. There are foreseen things but even lots of unforeseen things. It's important to have these thought through and what you'd do. What would you do if you got in a relationship with a person that was allergic to the bird? Hated the bird? Got attacked by the bird? While a parrot might seem right to you in your current circumstance, is it really right for you in the long term? It is all too easy to see a cute cuddly baby Senegal, Cockatoo, puppy, you name it and get fooled into ownership. However, long term ownership is NOTHING like that cute cuddly baby image you got into your head. It's false advertising. It's deceptive. The baby just sits in the nest, eats, poops, and that's it. So you come over, grab it, hold it, pet it, cuddle it, no problem. It doesn't resist. It doesn't necessarily want it but nor does it bite or act like it doesn't. It's just a baby and unresponsive. This can be mistake for being sweet and I totally know the feeling cause I love visiting baby Senegal Parrots in stores and playing with them. Every time this happens I'm reminded by how I feel for Kili when I got her. However, long term ownership turned out nothing like that baby Senegal that I got. (Well luckily with a TON of work I've gotten a lot of it back and made it work out but that's a whole other story and really outside the scope of just average ownership). Senegal Parrots don't have to be hormonal to be vicious. They are that way without being hormonal. When they hit a certain age, they become aggressive toward anything that hasn't proved itself worthy otherwise. If you're lucky, it's everyone but you. If you're unlucky, then it will even turn on you and you'll be attacked as much as anyone. Senegal Parrots aren't just defensive, they are actually aggressive. They are the kind of bird that will make an intentional effort to go attack another bird (or person, to them it's all just competition). I have encountered countless stories of Senegal Parrots attacking (and maiming or killing) other birds. One, actually snuck out of its cage and climbed onto another birds cage and killed it through the bars while the owner was gone. It is in their nature to intentionally and maliciously attack others. Through training, taming, and socialization a lot of this can be curbed (although when they are hormonal, it will happen anyway). However, when it comes to things outside your direct control (like other people, birds, etc) it is very risky. You may be able to stand up to the biting and teach it not to bite you. Not the case for budgie, roommates, etc. Your roommates could potentially undo any/all effort you put into training the bird NOT to bite other people. This can be a huge problem in the long run if you get a girlfriend, wife, kids, etc. Although my impression is that Grey Parrots tend to be more defensive and will fear bite, I think they are less prone to intentional aggression like Senegals. I'm not saying this is a reason to get one or even consider it, but I think it helps compare the kind of biting Senegals can get involved with. If I'm dwelling on the aggression too much, it's because it is the biggest problem with Senegals and not spoken enough about. People don't see it in the baby and are in no way prepared for what's to come. Worse yet, when the sweet baby becomes aggressive, they deal with it the wrong way and really set it up for further failure. The bird becomes aggressive, so people get scared (or think it just doesn't want to come out). So they leave it in the cage which just makes it more territorial and aggressive. And before you know it either they get rid of it, or just leave it condemned to the cage 24/7 for life without parole. The biggest trouble I had wasn't my Senegal Parrot biting me, but biting others. That's REALLY hard because no matter how much self discipline I had to do things right on my end, I couldn't control how others might be encouraging the bird to bite (whether they knew it or not). Senegals generally aren't rehomed/neglected over screaming or plucking (although it does happen from time to time so don't completely write it off as a possibility) but over the aggression. You said that biting is an issue for you and I'm telling you that with Senegals aggression is one of the cons/side effects. Also they are in the range of mediocre talkers to not talking at all. Worse yet they just pick up annoying noises. So they don't talk but they mimic shrieks, whistles, and annoying wild bird calls. You will find the exceptional talking Senegal, but it's the exception not the rule. Mostly their vocalizations are annoying and not fun so it's not a plus side to look forward to. For me the best parts are the intelligence, convenient size, playfulness, loyalty, relative quietness, relative cleanliness, relative mellowness (not as hyper as others), quick learner, good at tricks, can fly in confined conditions, somewhat cuddly. Senegals mostly win as a "personality" parrot. They don't have the looks, talks, or skills of other parrots but they win on having a likeable personality. However, that personality can become inaccessible through aggression. So this is why it's such a big deal. Let's say a certain parrot is a non-aggressive screamer. Although it's annoying as hell, it doesn't prevent the owner from being able to hold and interact with the bird. Aggression on the other hand may entirely prevent all interaction and no progress can be made. Thus it is a very significant ownership issue. I would caution you about the information you get from various sources. While I think it's perfectly fine for everyone to participate in discussions and have an opinion, you'll find that it's not always a valid one. Some suggestions are given by people who don't even own the experience in question, a parrot at all, or that kind but only very briefly, etc. Others are biased by profit. I still think it's better that they all be available and for the reader to hear all and choose. However, in the excitement of getting a new parrot it's easy to accept the ones that are positive/in agreement with what you want and ignore the others. I'm up front that my experience is 4 years with one Senegal Parrot, visiting at least another 6 Senegal Parrots, 2 Meyers, 3 Jardines, 1 Red Bellied Parrot in a store, 3 adult Senegal Parrots in other places, 6 adult Senegal Parrots at a rescue, and all the conversations I have had with other Senegal owners (both success and failure) who gravitate toward discussing it with me based on my successful ownership of one. When I give you my feedback, that is the perspective it is coming from and not just owning a single bird or hearing about it. Talk to Ginger first, then I can fill you in on more training related details. Please consider a rescue rather than a baby. Other than the first 6-9 months of enjoyable hassle-free baby, you don't necessarily gain any advantage by having a baby over an adult. There are actually many potential benefits to getting an adult rescue parrot instead. One is that you know what you're getting whereas with a baby you won't find out until it grows up. Every individual bird is different. I have both a TAG and three Senegals. My TAG is amazing...love her, love her, love her. Lots of Senegal and TAG commentary....I love them all though...Wouldn't trade them for anything. Somebody who works with rehomed parrots (in your case, senegals) every day will be able to tell you all the ways that people totally botch it with their birds. They'll also be able to tell you the characteristics of that bird which generally become problematic and cause owners to surrender their bird to the rescue. Somebody who only deals with baby birds doesn't see the bad side of the animals which cause problems when they live with people. Have you ever considered a pionus? They have a much gentler reputation than senegals and with proper socialization, they generally don't get as jealous - which will be better for your situation since you have a budgie. Cml here has a bronze winged pionus and could give you a better picture of the behavior than I can. I also support adopting from a rescue or shelter. An adult bird has already gone through the "teenage" phase so what you see is generally what you get. People think that all rescued parrots are pluckers/screamers/aggressive/super-shy/etc., but that's not always true. A lot of really nice, tame parrots end up in rescues because the owners died, the owners found they were allergic to the bird, they had to move to a place where pets weren't allowed, or had some other change in their situation and the bird was going to get the "short end of the stick".